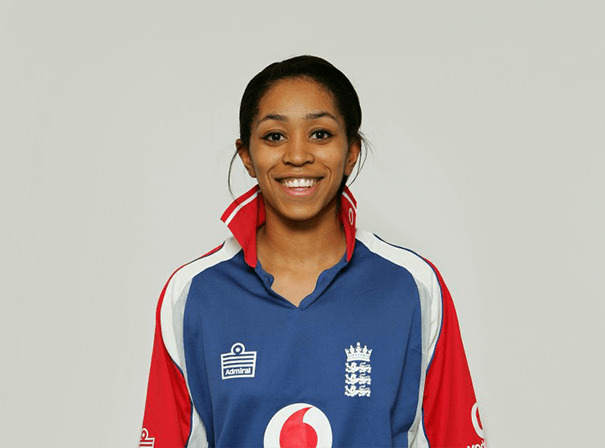 Ebony-Jewel Rainford-Brent was the first black woman to play international cricket for the England team, and also played a key role in that same side winning the World Cup. Having and to deal with a near career ending back injury aged just 19, Ebony really has battled against tough circumstances to make it to the top of the world game, and it is those experiences that make her such a fascinating guest speaker and role model for female sports stars everywhere. Ebony was a key player for England in Sydney in 2009 when the team won the 9th World Cup and she reprised her role when the side won the ICC Women’s World Twenty20 and Natwest One Day series, as well as keeping hold of the famous ashes. over the years Ebony also played for England at the 2007 World Series in Chennai and the same year was 56named UCL Sportswoman of the Year. She is now a key part of the punditry team on BBC Test Match Special and went on to be the first Director of Women’s Cricket at Surrey County Cricket Club, as well as being a top performance coach and regular face around TV on channels and shows like Sky Sports and BBC Breakfast. Ebony-Jewel Rainford-Brent has delivered engaging and informative speeches for a range of top clients including DMG Media and never fails to entertain and educate in equal measure. For any charity dinner, sports award function, brand launch or ambassadorial role, then, she really is a first rate choice.